Sarah Batista: Stories to Inspire | New Growth Hair Magazine | We capture the culture of urban barbershops and beauty salons. 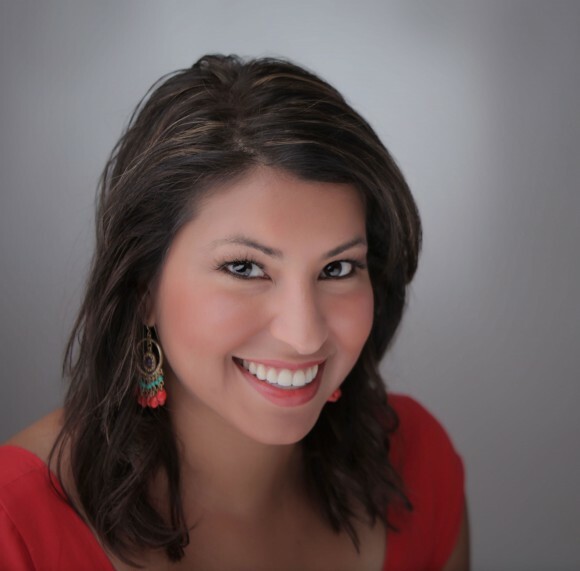 During the past seven years, Sarah Batista, former WBTV News reporter, has been one of Charlotte’s most visible Latinas. Batista was one of Charlotte’s most trusted journalists responsible for covering breaking news and securing exclusive interviews. In addition to reporting local news, Sarah had a passion for producing documentaries. After getting her feet wet with documentary films, Batista began to question whether she wanted to continue to work full-time at WBTV News. Several months ago, Sarah Batista took a leap of faith and decided to walk away from her position at WBTV News to launch Stories To Inspire, LLC, a video production company. Below is my interview with Sarah Batista about her journey as a Latina in the competitive TV News and documentary film industry. Phillips: How did you get your start in TV News? Batista: Before I went to college, I knew that I wanted to become a TV news reporter. A lot of people told me that becoming a reporter was too hard and I would just be wasting my time. Those comments only fueled my desire to defy the odds and break into the industry. While I was a student at UNC-Charlotte, I tried to get involved in any and everything related to journalism. I was actively involved in journalism clubs, The University Times, our campus newspaper, and I interned at News 14 Carolina and Fox Charlotte. After college, I got a job as a writer at NBC News Channel. I knew that becoming a good writer would help me to become an excellent reporter but I was determined not to stop until I reached my goal. For six months, I sent out video highlight reels of me reporting news stories to different news stations and I finally landed a job at WCAV in Charlottesville, Virginia. When I was a reporter at WCAV, I was the camera girl, writer, editor, and reporter. I did it all! From there, I got a job at WBTV. Phillips: What tips do you have for Latinos who have an interest in TV Journalism? Batista: Don’t take ‘No’ for an answer and be persistent about getting your foot in the door. In the beginning, be willing to do your job for little money because you don’t get paid a lot when you start. Also, being bi-lingual is a huge asset so brushing up on your Spanish can be very beneficial. I always tell my interns to dress for the job you want and not for the job you have. Sometimes, the interns would dress like and act like college interns. My advice is to dress like a reporter so that you will feel and act like a reporter. Eventually, you won’t just be acting like a reporter, you will become one. Phillips: Why did you decide to start you own business. Batista: TV news is very exciting but it was also very stressful. As I began to grow as a journalist, I wanted to have more control over my stories. I wanted to balance the not so positive news with positive and inspiring news stories. It was a tough decision for me to separate from the last ten years of my life, but it is very important for me to produce new stories that inform and inspire change. A large focus of Stories To Inspire, LLC will be producing compelling videos to help non-profit organizations fundraise. I want to help non-profits put a face on their organizations and to encourage people to assist them with their mission. Phillips: Can you share some of your TV Fashion Tips? Batista: What looks good on TV is totally different than what looks good in person. What I wore on television was much different than what I wore in my personal life. I’m a Latina! I love bright colors, jewelry, ruffles, patterns, and clothing that’s exciting. Working in TV News, we were required to be much more conservative and wear clothes that were solid, bright, and less trendy.